Here at Wicked Bucks we’ve done all the hard work for you. 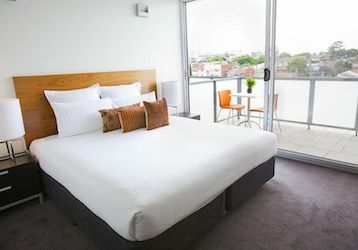 Choose from brag worthy penthouses to budget friendly hotels- we’ve got something for everyone. The only thing you need to do is worry about where to get the next drink! One night to one month, whatever your budget, whatever your style, our team have all your Bucks Party accommodation needs sorted. 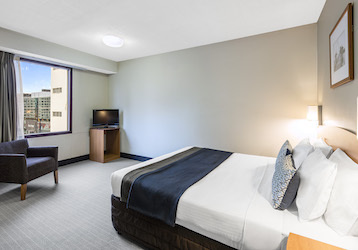 Ideal for the budget concious bucks party group looking for cheap accommodation in Melbourne CBD. Perfect for laying your head down with the lads after a big night out on the town. 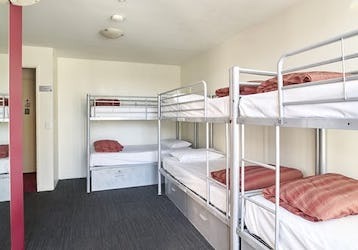 Bunk beds and dorm style accommodation for parties. Central 2.5 star budget accommodation. The ideal bucks party accommodation located right in the heart of the city and directly across the road from the beach. Studio, 1 and 2 bedroom apartments with kitchen and cooking facilities, awesome pool, amazing views, great facilities and comfortable place to rest your head at the end of a wild night! Looking for a little more space or a little more luxury than our one and two bedroom apartment options are perfect for you. With large open living spaces you can host your very own in-room party and the fully equipped kitchen means you’ve got all the tools to create the perfect late night snack. With options to suit every budget choose from mid-range to 5-star options in prime locations.